We were delighted to attend the service at St Mary’s Church on the 7th April to celebrate the completion of the re-ordering works. 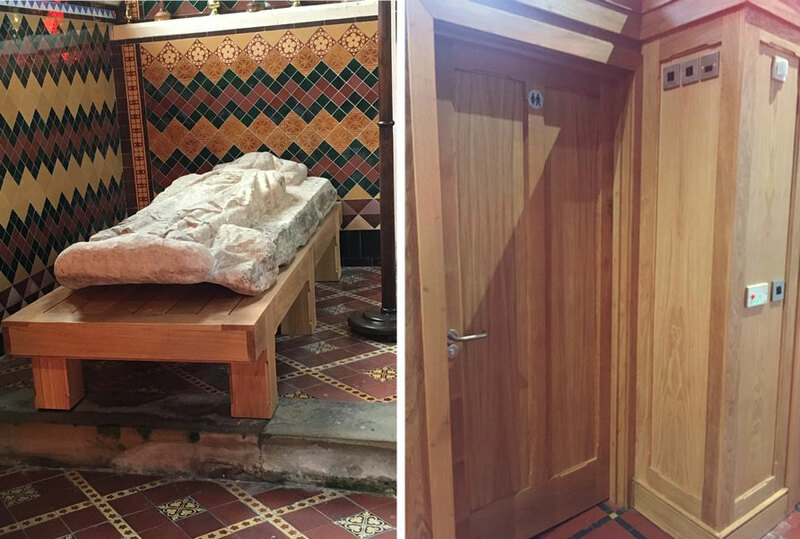 The church has undertaken major repairs to the north transept roof as well as an internal re-ordering scheme that included new toilets and kitchen servery, vestry, chair store and new oak pedestals for the effigies. The church already has some significant detailing within the church including an intricate Victorian ceramic tiling scheme in the chancel. Wanting our design to blend into the ‘background’ of the church we chose quality materials and designed a very simple detail with paneling, taking our inspiration from the historic organ casing.